Bravo TV Show Looking for a House to Design! 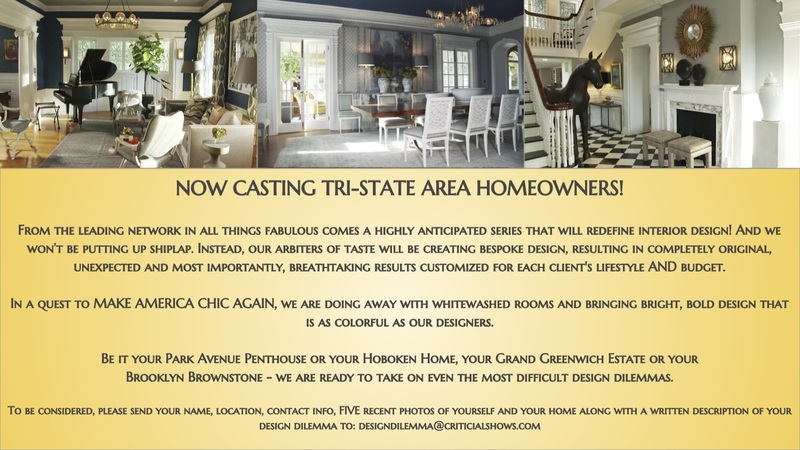 New Bravo Show is Looking for Properties to Design! A casting producer with Critical Content in LA has recently contacted us. He is working on a new interior design show with an emphasis on high-end design. He is searching for homeowners in the Rye area who need help pulling their space together. Whether you have a new space that you having trouble conceptualizing or if you can’t settle on a design style – this would be an amazing opportunity for you. A top celebrity interior designer will be coming to your home and personally curating a look perfect for your needs. This is a once in a lifetime opportunity! Please see details and contact information on the flyer below. If you would like us to email you the flyer please email jomeara@houlihanlawrence.com.